Many hot water problems can be fixed quickly with water heater repair, such as replacing electrical components or removing sediment buildup. Our plumbers will come with a stockpile of water heater parts so you don’t have to wait around for them to go shopping for the right parts. 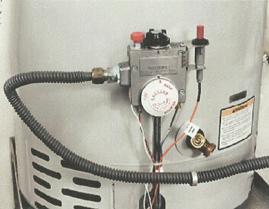 Water heater repair isn’t always the best option – especially if your water heater is already 10+ years old. We have partnered with Synchrony Financing. Everything you need made easy. 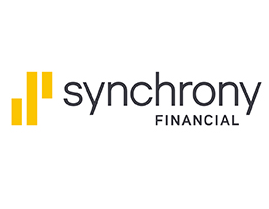 Whatever service you need, you can get it faster and easier with a credit card from Synchrony Financial. Ask one of our Techs about current promotions and select the special financing that meets your needs. Water heaters are one of the most important appliances that you have in your home or business and can consume most of the energy out of all your appliances. When your water heater fails or springs a leak you can depend on Reno Plumbing Doctor to provide Reno Water Heater Services. 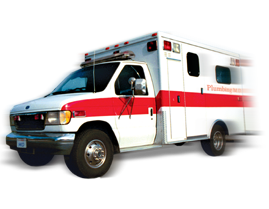 We carry repair parts for most of the major brands in stock on our service trucks and can have the water heater up and running in no time. After heating and cooling, water heating is typically the largest energy user in the home because it is necessary for so many domestic activities. Whether you’re replacing a worn-out, inadequate, or obsolete water heater or looking for the best model for a new house you’re building, it pays to choose carefully. 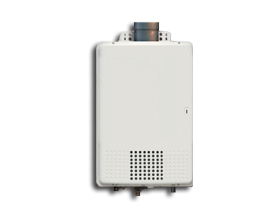 There are many different tank water heaters on the market today. Find your peace of mind with our best price guarantee pledge. Show us a written invoice from a competitor with description of the work and their price and we will beat it by 5%. Competitor must be a licensed contractor in the State of Nevada. In good standing with the State of Nevada Licensing Board. "The Feel Good Plumbing Experience"
Breaking the mold of the stereotypical plumbing service call. We are ALL about the customer. Expert technicians to handle any plumbing problem. Customer will always be well advised on the best solution for their plumbing issue. Up Front Pricing, there are no hidden costs. Hardy has been a plumber for more than 35 years and had been employed by the local firm Plumbing M.D. Inc. for nearly a decade when the opportunity for business ownership was made available. “Mark’s dedication to the industry, to his customers and to the brand make him a perfect candidate for business ownership,” Farias said. I am a young, single female and the service I received from the owner Mark was unbeatable. So much so that I created a yelp account just to leave this review! I had an emergency leak and was having a panic attack because no one in town could get to my property for a couple of hours until I called Plumbing M.D. and Mark came out himself within 30 min. He fixed the problem and was EXTREMELY helpful explaining and trying to teach me about my water heater. His prices are reasonable and he even came back out a week later to help me turn my water heater back on when I accidentally turned it off! Great service and no sales pressure which is super important to me as someone who would fall for anything! A++ service and will always recommend. The crew did a great job, everything was cleaned up and put back nearly as it was before they started, Their bid was $400 less than the next lowest. They know what they are doing with this type of project.